Budget carrier AirAsia India on Sunday rolled out year-end sale, offering customers starting flight ticket prices as low as Rs1,299 for domestic travel and Rs 2,399 for international flights for a limited period. The flight ticket bookings under the offer commence from 12.01 am Monday and will remain in effect till 15 October, for travel between 2 October and 31 March, said AirAsia India in a release. 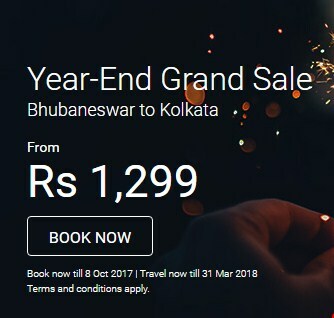 As part of the year-end sale, AirAsia India offers fares from as low as Rs 1,299 for domestic travel on the AirAsia India network covering destinations such as Bengaluru, Ranchi, Hyderabad, Pune, Kolkata, Kochi and New Delhi, among others, it said. Flight fares from as low as Rs 2,399 are available for international travel to Kuala Lumpur, Bali, Bangkok, Krabi, Phuket, Melbourne, Sydney, Singapore, Auckland as well as to more than 120 other global destinations across Asia, Australia and New Zealand, the Middle East and the US, the release said. Besides, these promotional fares are applicable to the newly-launched air services to Johor Bahru and Bali from Kolkata, the airline added. The offer is applicable to the tickets booked through AirAsia portal or its mobile app, the release said.